Granola is one of those “health foods,” like nutrition bars, that comes with lots of good-for-you promises but is a total mixed bag when it comes to what you’re actually getting from brand to brand. One popular brand’s Protein Granola, for instance, bills itself as “a simple and versatile way to add protein throughout the day,” but is filled with added sugar and unhealthy fillers. “These granolas may sound healthy, but don’t be fooled by the front of the package,” says Melissa O’Shea, RD, the director of nutrition for Exhale Spa. “You’ll find far from simple and pronounceable ingredient lists.” So what are the healthiest granola brands out there? O’Shea helped us outline best practices for choosing the healthiest options on the shelf, but in case you don’t have time to read every label when dashing through the grocery store on busy days, we did it for you. Here, we identify five stand-out brands you can rely on in a pinch (listed in no particular order). Our criteria? All are made with entirely or mostly organic ingredients and oils like coconut and olive, contain less than eight grams of sugar per serving, and are free of fillers like processed soy protein isolate. And may we suggest enjoying with Greek yogurt or a small-batch nut milk? Keep reading for the five healthiest granola brands. One of O’Shea’s personal favorites, 18 Rabbits’ granola is certified organic and comes with a super short ingredient list, no matter the variety. Whole rolled oats, coconut, maple syrup, and sunflower oil meet health-boosters like chia seeds, pumpkin seeds, almonds, and hazelnuts, depending on the flavor. And it has the least sugar per serving—three grams—of all the brands we looked at. 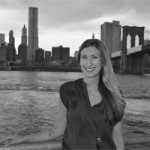 The gluten-free genius founder of Purely Elizabeth, Elizabeth Stein, adds ancient grains like amaranth, quinoa, and millet into her mostly organic blends, which are made with raw virgin coconut oil and sweetened with coconut sugar. Also, important: the Pumpkin Fig variety is unbelievably tasty. Oat My Goodness is more than just a super cute name (although we give them bonus points for it). The brand’s flavor combinations are interesting and seriously delicious—like the Vintage they designed to taste like fresh-baked oatmeal cookies with vanilla, cinnamon, nuts, and raisins—and you’ll find very short ingredient lists on the packages. The primary ones, like oats and coconut, are organic, and olive is the oil of choice. This small-batch, Brooklyn-based granola may be harder to find than others in stores, but you can source it easily online. It’s nearly all organic and made with extra virgin olive oil and some more interesting ingredients like dried sour cherries and pistachios or mango and macadamia nuts. Oats and honey are the base of Maine-based GrandyOats’ certified-organic Classic Granola, which also contains plenty of healthy nuts and seeds and significantly more protein ( seven grams) and fiber ( five grams) than most others. Other flavors like Chocolate Almond and Goji Agave are slightly higher in sugar than the others here, but they’re still wholesome and tasty pick. 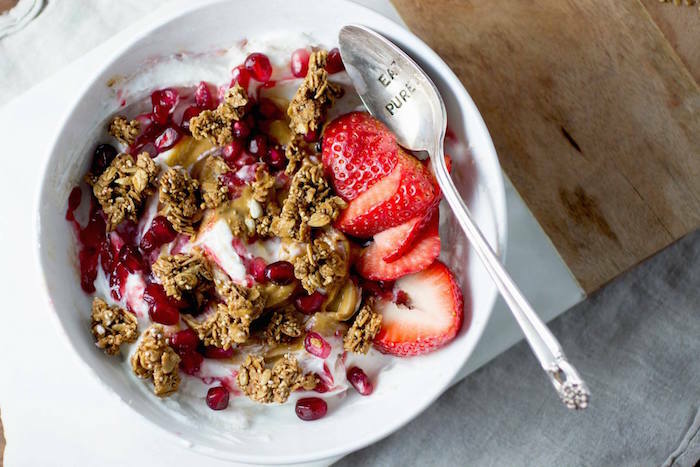 Before you head to the grocery store to stock up on healthy granola, find out what 10 foods dietitians wish people ate more of. And have you heard about nightshades? Here’s everything you need to know.